Anthropology of Bla(c)k Consciousness brings together fieldsounds gathered through neighbourhood walks and free style poetry to awaken past and future memories. With artists working on country, on stolen country and on borrowed country, this event represents a convergence of interests in decolonising and diasporic thinking, transformed by collaboration and conversation into soundscapes, publications, poetry; aka tools to create political subjectivity. This event comes a day after Invasion Day. Because of the significance of this date in Australian history, we wanted to convene a get-together to harness sound and listening in respectful ways. From visiting luminaries who are thinking through their own battles to locals who are working on multiple fronts, the event offers an experimental space to draw on global black quantum methodologies in the processing of ongoing cultural trauma. The event will be co-facilitated by a range of inspiring thinkers, activists and musicians including Black Quantum Futurism along with this mob, Alterity and Still Nomads. Presented by Liquid Architecture. Rasheedah Phillips and Camae Ayewa of Black Quantum Futurism guide us through their Anthropology of Consciousness workshop, with fieldsounds gathered through neighborhood walks and free style poetry to awaken past and future memories of a particular location, some of which are transformed into soundscapes and poetry zines. Meeting at Blak Dot Gallery, walking around neighbourhood and returning to gallery for talking and making. Some of this mob’s future-thinking blakfullas will lead a yarning circle - led by Timmah Ball and Neil Morris - Blak Futurism in the City, which will ask people to imagine what an Aboriginal city could be, free from the hostility of colonialism. If we made and created our own cities by choice rather than force, what would they be like and feel like? Could we love them? 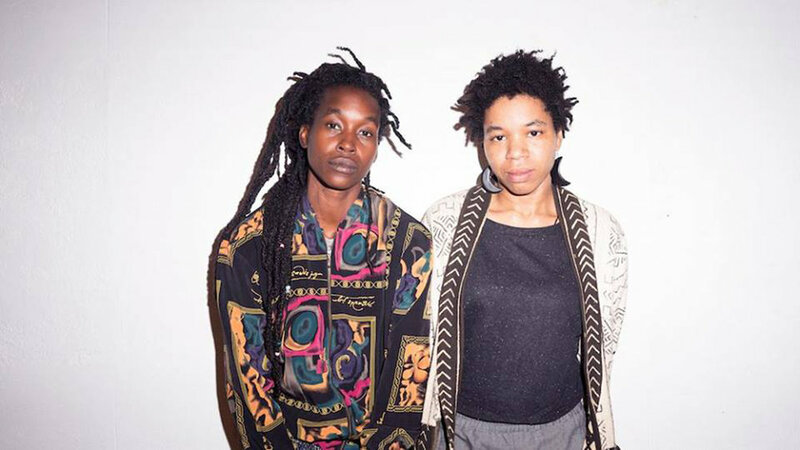 Still Nomads offer a workshop - part archive, part zine allowing participants to create their own Black Future. Facilitators Peter Waples-Crowe, Hayley Millar-Baker, Ruth Ruach and Mary Bekele encourage participants to bring photographs or other material that represents their current neighbourhood or perceptions of home. Facilitated by this mob, participants will be given context of their surroundings here in Naarm (so-called Melbourne) and with the guidance of Black in 35mm & Black Quantum Futurism, participants will learn how to use zines as a method of black archiving and black documentation to imagine Black Futures.